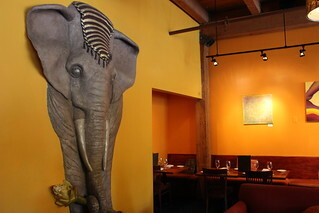 One of the restaurants I kept hearing about before moving to Boston was the high end Cambodian restaurant, Elephant Walk. 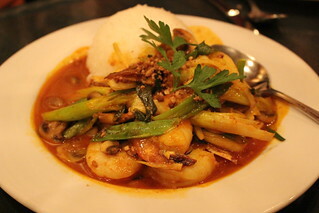 It serves "royal" Cambodian cuisine along with French (which was traditionally served to the Cambodian royalties). 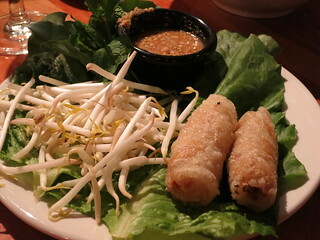 Rouleaux ($7.50): Cambodian spring rolls filled with pork, peanut, noodles, carrot and onion; served with greens and herbs for wrapping and tuk trey for dipping. They were good spring rolls but on the smaller side and seems mighty expensive for $7.50 for two small pieces. This is the only place I've had this dish, so I cannot compare it to others, but this version is a soft, creamy custard filled with seafood. It's not really spicy but I love the flavors combined with white rice. 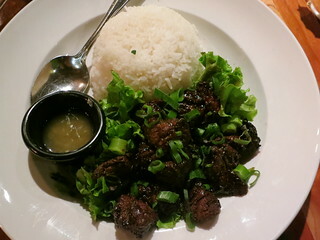 It's also a harder to find Cambodian dish, so I'd return here for this. 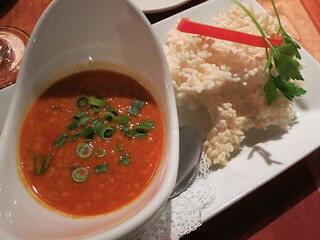 I like the shrimp dishes here, which are cooked nicely. The flavors at Elephant Walk is more subdued but still there. 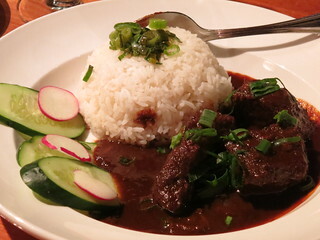 The short ribs are tender, since the chef's French cooking techniques help here, but there weren't a lot of meat in this almost-$20 dish. 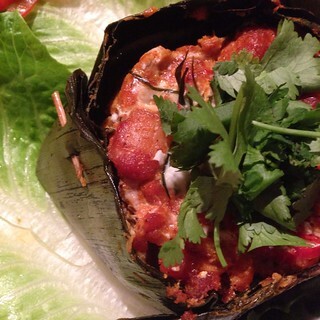 Overall, the food at Elephant Walk is good, but it's pretty expensive and a bit overpriced. Yes, the decor is certainly much better than the typical Asian restaurant, but for the most part the food wasn't that much better. There are some dishes that I did really like and would come back for, though: Nataing and Amok Royal.